Jacksonville, NC + Starts March 2020! Friday: 5:30 p.m. – 9:30 p.m.
Saturday: 9:00 a.m. – 7:00 p.m. If you are a military spouse, you may qualify for the MyCAA program. The MyCAA program is a career development and employment assistance program offered by the military for military personnel and their spouses. MyCAA provides a maximum educational benefit of $4,000. MyCAA approved. Complete our Scholarship Application by December 21, 2019 to be considered! *Please contact our programs team after closing date for registration. Infinite Yoga & Wellness opened in October 2012 to create a supportive space where people can discover, explore, and expand their yoga practice. The studio began with the intention of exposing the community to yoga; an empowering practice that brings strength, balance, and healing into the lives of those who are curious, and committed enough to show up on the mat. What started out as an unlikely endeavor, jumping into obvious risk, more fear than necessary, and stubborn faith, is quickly and beautifully transforming into a place of service and growth to many in the diverse community of Jacksonville, and its surrounding areas. The studio is filled daily with teachers and students who are actively seeking ways to bring wellness and wholeness into their lives. It is fascinating to be part of this time, and to have the help and support of so many who have helped get the studio cranked, both on and off the mat. This is truly only the beginning, and we are looking forward to every second that is in store. Welcoming each intention, trial, breath, and celebration. Gratitude and service fuels the foundation here, and support from friends, family, teachers, and practitioners build it up. You are supposed to be here. Jess has a rich yogic history, steeped in a variety of trainings and lineages, bringing a wealth of knowledge to her classes, workshops and teacher trainings. Jess came to yoga in her teens, recognizing it as a path towards staying active and healthy throughout every stage of life. Jess has had the opportunity to study myriad yoga styles, particularly the prominent lines of Iyengar, Ashtanga and Anusara – each complimenting her attention to alignment and core engagement gained as a gymnast – as well as therapeutic and kids yoga. Her formal education and certifications were earned at the Morningside School of Yoga in upstate New York, Kripalu Center for Yoga and Health in Massachusetts, and most recently 200 and 500 hour certifications from the Wilmington Yoga Center. Her influential teachers include Michael Smith, Stacey Millner-Collins, Cheryl Crawrford, Kristin Cooper and Noelle Whittington. Jessica loves developing a wide variety of classes including everything from gentle and chair yoga, to kids yoga, to advanced practices focusing on arm balances and inversions. Her goal is to lovingly support students down the path of living a yogic lifestyle in all aspects. Danielle began her yoga practice in 2013 as a way to supplement her dance training. She completed the 200-hr Kunga Lifestyle and Teacher Training in 2015 and is currently enrolled in the Kunga Therapeutic Essentials 300-hr program. She is a Kunga Yoga School Apprentice under the mentorship of Jamie Annette, Allie Lloyd, Kristin Cooper, and David Emerson. Other influential teachers include Tra Kirkpatrick, Jeffrey Shoaf, and Noelle Whittington. In her studies, Danielle found that yoga offers tremendous healing for both mind and body and seeks to facilitate that process for her students. In her class, one can expect to explore intention with every pose. Danielle believes in honoring the practice with purpose and using the practice therapeutically as a way of bringing imbalance into balance – whether those imbalances are manifested physically, emotionally, energetically, or spiritually. With advanced training in Pre-Natal and Restorative Yoga, as well as Anatomy, Ayurveda, Pranayama, Chronic Pain, and Yoga for Healthy Aging, Danielle offers a trauma-informed approach in her classes which can be enjoyed by all. As a unique, multidisciplinary teacher training program, we’ve committed our programs to the “Kunga” vision-offering yoga as service to our local and global communities, learning by teaching and getting our hands dirty! The tenets of Kunga Yoga as service are respect for all “Styles” of yoga, embracing yoga in its truest sense of oneness and using the tools of yoga to be more of service to the planet &amp; all beings. Kunga Yoga Teacher Trainings teach students skills for “living yoga” both on and off the mat while working towards their 200 hour and/or 300 hour Certifications. All Kunga Yoga, Wilmington Yoga Center, and Affiliate studio programs meet or exceed the standards set forth by the internationally recognized <a title=”Yoga Alliance” href=”http://www.yogaalliance.org/” target=”_blank”>Yoga Alliance</a>. 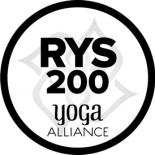 Yoga Alliance has established widely adopted rigorous standards for education and certification. With several approaches to yoga being shared (orthodox and synthesis), this training provides a unique opportunity to learn about different traditions within one cumulative program. Instruction is provided in a “big picture” format of the physical practices of hatha yoga, with a “smaller picture” introduction into the practice and theory of other prominent styles such as Kripalu, Ashtanga, Vinyasa, Prana Flow, Kundalini, Prenatal yoga, Yogic lifestyle, ethics, vegan living, anatomy and physiology, and pranayama are covered in detail, along with an introduction to therapeutic yoga &amp; kids yoga. Kunga Yoga Teacher Training offers many benefits, including: • A leading reputation as one of the largest schools for yoga in the Southeast. • Expert Faculty with decades of experience • Experiential curriculum and teaching methodology focused on accessing inner wisdom • Yoga inspired lifestyle immersion within a holistic health centered commons • Support for graduates including assisting opportunities, discounted advanced studies tuition, and internship/mentor programs. The primary umbrella for Kunga Yoga is Hatha yoga physical practices, with an emphasis on Vinyasa and specialty classes. Instruction is provided in a “big picture” format of Hatha yoga, with a “smaller picture” introduction into the practice of athletic classes such as Vinyasa Flow, Power Flow, and Detox practices, as well as meditation senior yoga, prenatal, kids, therapeutic restorative and more. Yogic lifestyle, professional ethics, vegan living, anatomy and physiology, assisting and pranayama are covered in detail. For more specialized, in-depth study of these topics, you may continue your advanced studies with our Kunga Yoga 300 Hour Certification Program. We have consistently evolved, improved and refined each of our yoga instructor training programs, with over one thousand participants in our 200 & 300 hour programs since 2003. As a unique, open- style training program, we’ve committed our programs to the “Kunga” vision-offering yoga as service to our local and global communities, learning by teaching and getting our hands dirty! Synthesis & Orthodox Practices: Ashtanga, Kundalini, Kripalu, Therapeutics, Prenatal, & More..
BUY YOUR SUPPLIES NOW & SAVE 15%! Kunga Yoga instructor trainings are registered as 200 hour & 300 hour certification with the Yoga Alliance. 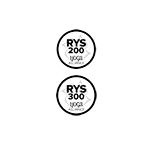 Yoga Alliance has established widely adopted rigorous standards for education and certification and is the only established national body of standards for yoga teachers & schools. As a Yoga Alliance registrant, you become a part of the global community of over 21,000 Registered Yoga Teachers & Schools. Registrants are recognized internationally for meeting recognized standards of training, experience & ongoing professional development. 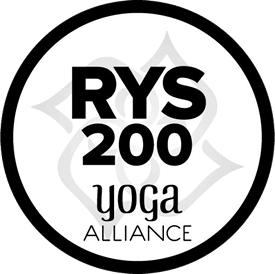 Evolving since 2003, the Kunga Yoga 200-hour YLTT meets and exceeds all of Yoga Alliance’s requirements for 200 hour certification. The goal of the WYC Kunga Yoga 200 hour Teacher Training Program is to provide the fundamental tools that potential teachers need to offer complete, safe, and eclectic hatha yoga classes. Students wishing to become yoga instructors or those just desiring to deepen their understanding of yoga will find this course diverse and comprehensive. All Kunga Yoga Faculty and presenters are Registered Teachers at the 200 & 500 hour levels, and/or experienced professionals in their field of study. The emphasis within our school is on very broad Hatha and Vinyasa yoga techniques, asana, pranayama, and philosophy, rather than one particular theory or methodology. The heart of our program is the teaching of yoga as service, and promotes openness to all methods of yoga with no one yoga “style” being taught as dominant. We teach a broad range of approaches, so that all may gain an appreciation of different theories/models. Our 200 & 300 hour trainings provide a unique opportunity to learn both orthodox and synthesis models of teaching from different traditions within one cumulative program that can benefit all shapes, ages, backgrounds of students-from the high powered athlete to the senior student with therapeutic needs. Teaching Methodologies are covered in depth in our 200 hour programs, including opportunities to “practice teach”, to learn hands on posture assists, and opportunities to assist live classes. Unique, fun experiences of chanting, kirtan, drumming, and creative movement are also a part of the trainings, and when possible we practice outside and on the beach! The heart of our yoga teacher training program is the development of community within the program itself. We’ve found that the highlight for most of our participants is the feeling of support and connection with others within the program. Our goal has always been to create a lighthearted community that is non-judgmental, where no one feels “intimidated” by yoga, and where people can meet, learn, laugh, and hopefully develop friendships for life. We have taken many steps to create a curriculum and space where students of all walks of life, age and ability can come to study the many facets of yoga. Our graduates often share that the training and community gives them personal fulfillment, fresh perspectives, personal EVOLUTION, and ultimately the drive to serve and support in the healing process for others. Our community is full of students, teachers, volunteers, & administrative staff all coming together with like goals to create connections and valuable support systems for life. Senior Kunga Yoga Faculty lead and direct the trainings in a non-dogmatic, professional, and light-hearted way. Our curriculum is well-established, unique, and FUN! All bodies, ages, shapes and sizes are welcome and encouraged. We strive to create a friendly, non-intimidating, joyous community within our programs, as we feel that trust and comfort are the essential ingredients for absorption during the learning process. Your Kunga Service Teaching Project is a valuable learning experience and a part of our outreach program providing yoga to underserved communities. Your Kunga Project may be spent working with local charities, fundraisers and community programs for special needs, such as volunteer teaching for at-risk youth, HIV, and domestic abuse victims. You may also choose to simply offer one-on-one lessons to a family member that needs yoga! All graduates teach 5 free Kunga Yoga classes in their communities. The Wilmington Yoga Center is nestled in an environment dedicated to yoga, massage, holistic lifestyle & well-being, at the center of Wilmington’s “Wellness Mecca” known as Tidal Creek Commons; housing Tidal Creek Cooperative Natural Foods Market & Café and Blue Ginger Spa. Tidal Creek is a full sized grocery store with an amazing cafe with in-door and out-door seating featuring a hot-bar, salad-bar and juice, smoothie & coffee bar. Being located right above Tidal Creek makes grabbing meals & snacks easy AND healthy! WYC is centrally located in Wilmington, NC and only 15 minutes from beautiful Wrightsville Beach. Connection to nature; breathtaking Wrightsville Beach located within 15 minute drive. Wilmington studio location nestled in within the county’s “wellness mecca” housing Tidal Creek Organic Health Foods Cooperative Market & Café and Blue Ginger Spa. discounts and the chance to earn continuing education credit hours on Kunga 300hr continuing education modules on international adventure retreats… not your typical “school” curriculum, but the one we always wished for!